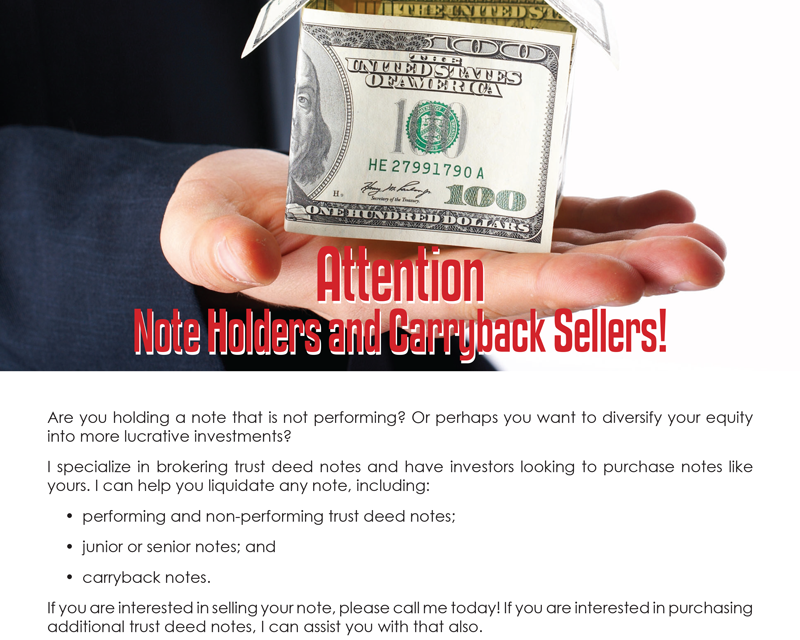 Are you holding a note that is not performing? Or perhaps you want to diversify your equity into more lucrative investments? 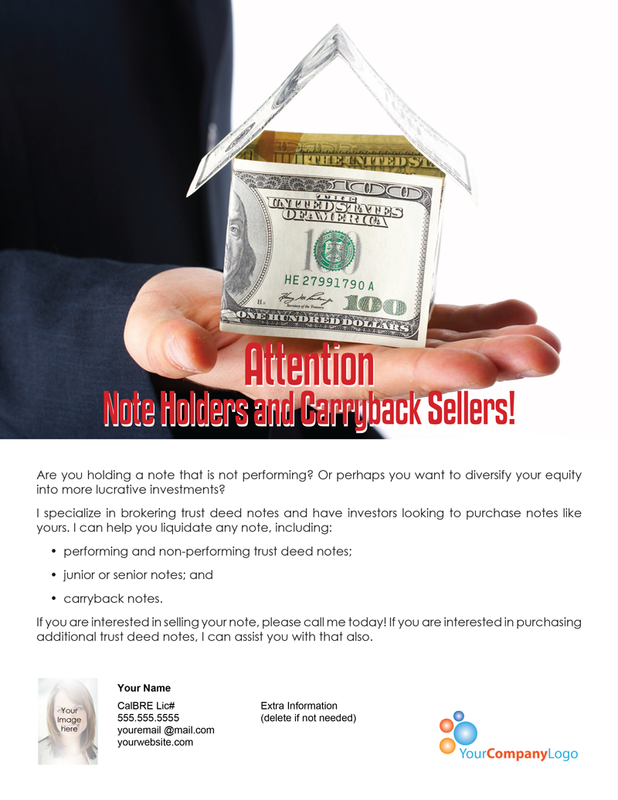 If you are interested in selling your note, please call me today! If you are interested in purchasing additional trust deed notes, I can assist you with that also. PreviousClient Q&A: My deposit: will I lose it if escrow is cancelled? NextClient Q&A: What’s the difference between an adjustable rate mortgage (ARM) and a fixed rate mortgage (FRM)?